Stress. We all experience it, some of us more than others. It can result from a high pressure job, hard times in life, or when there’s just too much to do. And while a little stress is to be expected, too much stress can cause serious health problems throughout your body, including your mouth. 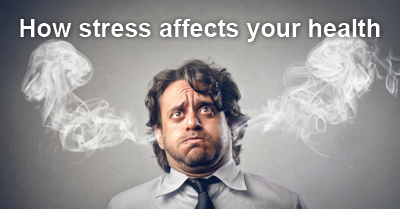 All of us at Dr. Larry Winans’ dental office in Williamsport want to talk a little bit about the ways stress can put your mouth in danger. Gum Disease – Since long-term stress affects the immune system, it’s especially concerning for your Williamsport dentist. When your immune system is affected by stress, the risk of periodontal disease is greatly increased. While we know it’s nearly impossible to avoid all stress, we do want to encourage our patients to understand how it affects your oral and overall health. If you’re experiencing any of the symptoms we discussed, please call Dr. Larry Winans to schedule an appointment. We’ll work together to find the best solution for you and get your mouth healthy. The ball has dropped, the champagne has popped, and the resolutions are in full swing. Everyone has started putting a lot more pressure on their appearance, how much they weigh, and on changing their lives. Sometimes this means buying a gym membership and new sneakers, other times it begins a journey to quit smoking. While we can’t help you fulfill all of your resolutions (although we’ll encourage you all the way! ), all of us at Dr. Larry Winans’ Lewisburg dental office can help you celebrate the New Year with a new smile you’re proud to show off. Often times things like aging, genetics, or accidents can affect our teeth and make us hide our smiles. However, a lot of the teeth trouble we see can be easily fixed with some cosmetic dentistry from the Lewisburg dentist you trust. 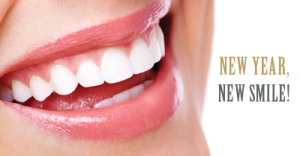 We offer a variety of cosmetic dentistry options that can transform your smile. If you’re in need a brighter, whiter smile, try a professional smile whitening treatment. If your teeth need an aesthetic boost, our veneers can help with that. Even if you need a complete smile makeover, our Lewisburg cosmetic dentistry options can help get you smiling again. There’s never been a better time to get the smile of your dreams. Give Dr. Larry Winans a call today and schedule an appointment to discuss your cosmetic dentistry options. Start the New Year off right. Start with a new smile. We’ll be with you every step of the way.